At brettapproved we’re honored when one of our champions shares travel tips with our community. After all, knowledge is useless unless you share it. On behalf of the entire brettapproved team, I’d like to thank Maureen for writing this amazing column. I’d also like to thank her and her husband Adam for contributing to brettapproved.com. Exploring new places is one of the great joys in life. No matter where you’re going or who you’re with, anticipating upcoming travel is one of the best parts of the experience. Of course, anticipation takes on different meaning when you’re concerned about accessibility. Will the hotel have the room we need? How hard will it be to find somewhere accessible to eat? These questions and more can cause stress leading up to what is supposed to be an enjoyable activity. I’ve found that planning can help eliminate some unknowns. I think preparation and research before a trip makes the experience more relaxing for our entire family. Here are some of my tips to help make your next travel experience a positive one. Finding a wheelchair accessible hotel is always my first priority. I call the hotel directly to make a reservation so I can ensure that they understand my husband’s needs. Some hotels let you reserve an accessible room via their website but until I feel comfortable with online reservations for a particular hotel, I always call them directly and make sure the fact that I need an accessible room is captured within my reservation record. If I have concerns about bed height, as lots of hotels put their beds on 3” risers, I call the front desk before check-in and ask for them to be removed. There’s still room for a lift to go under the bed and board transfers are easier. If I alert the staff to my needs ahead of time, they are very accommodating. Also, always complete the survey after your stay. I do. It’s nice to visit again and see the changes I suggested made. One last note about hotels, we almost always take advantage of the free breakfast. ?In our experience, it’s always accessible and you can’t beat free! We are foodies; always have been and always will be. We like excellent local spots rather than national chains, even though we know local restaurants aren’t always accessible. So, what’s the solution? We use Google maps and “walk” down the street by the restaurant to see if things like the door access and parking areas are accessible. Sometimes I contact restaurants via Facebook or by phone to ask about accessibility. In my experience, local spots are also more receptive to suggestions about improving their accessibility. Eating at “off” times also makes life easier. There are fewer people and it’s easier for restaurants to accommodate guests in chairs if space is at a premium. This is also helpful if you need more room to maneuver. Eating between 4pm and 6pm works best for us. Plus, you can usually take advantage of happy hour! Like anybody else, I base our activities on what we want to do. If we want to go to the beach, I Google “wheelchair accessible beaches” in the area and find out if beach wheelchairs are available. Then, I look for the exact address of the nearest accessible parking and map-out the best route to the accessible boardwalks. I also call ahead to find out what we need to do to reserve a beach wheelchair. Most attractions have accessibility information on their website. If they don’t, use the “Contact Us” forms on their site or email them directly so you can explain your accessibility-related needs. Find 24-hour emergency medical care facilities near your hotel. I keep a list of places handy, just in case. ?I also alert our physician before every trip in case we need to call in a prescription. Nobody wants to run out of meds on the road. 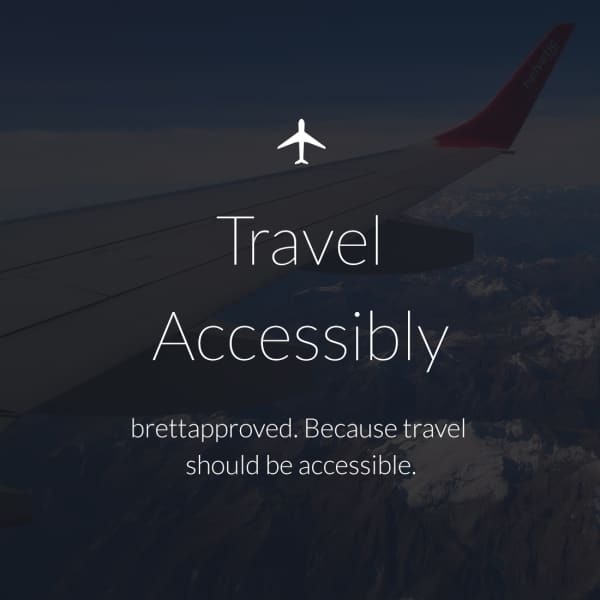 If you’re flying and need wheelchair accessible ground transportation, look it up and book it ahead of time, if possible. Research additional activities and be flexible. For example, if the weather is bad, you want indoor options. ?I look at it this way, if we don’t get to do every activity on our list, we have a reason for a return trip! Keep detailed lists. I have names, numbers and addresses for every place we visit in the smartphone app, OneNote. ?This way, I can update everything from my computer ahead of time and use it?throughout our trip. Occasionally, my son wonders why I have “every minute” of our vacations planned. I remind him with a smile, that it’s better to know what you’re doing ahead of time as opposed to trying to find somewhere accessible to eat on the fly — especially when you’re hungry. Lastly, plan ahead. Too much information is better than not enough. Failing to do so almost always means problems find you. Even worse, you might get stuck eating fast food and missing out on fun activities! Formerly an IT professional, Maureen is now a full-time caregiver for her husband Adam, a career firefighter who is quadriplegic following an accident. Maureen enjoys exploring new cities with her family. Maureen and Adam love showing the world that using a chair doesn't mean you can't live life to the fullest. I love this article! It gave me several suggestions for travel that I hadn’t thought of. Thank you Maureen!